IP cameras versus analog cameras: HD video, wide field of view and multitasking. 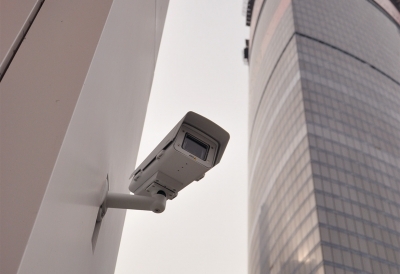 IP cameras are quickly becoming the standard for video surveillance. Every year, they are taking more and more of the market share away from analog/CCTV cameras. A single IP camera can perform the work of several analog devices, and they offer many additional features and functions. The benefits of IP surveillance solutions are substantial and completely justify updating your building’s existing security strategy. 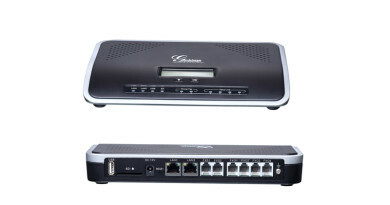 An IP camera communicates with the network through Ethernet. 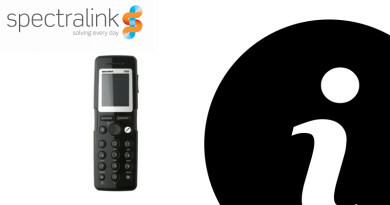 The camera is based on the Internet protocol (abbreviated as “IP”), so it communicates with the network through the same means as your computer and VoIP phone. The communications differences between an IP camera and an analog camera are similar to comparing high-speed Internet to dial-up Internet, or VoIP telephony to analog telephony. One benefit of Ethernet and IP technology is that they allow data to be sent and received at a much faster rate, allowing Internet speeds to be faster and your phone to perform more operations. IP cameras utilize Ethernet to send higher quality images, video analytics and other information that analog cameras cannot provide. There are several types of analog connectivity types and cabling available (BNC, DIN, RCA, etc. ), but they cannot perform the same functions as Ethernet. What’s the point of video surveillance? The video. IP cameras can produce video as crystal-clear as your favorite movie. Receive video and still-shots in 1080p resolution, or full HD quality. The images can be displayed in an aspect ratio of 16:9, just like an HD movie or television show. Analog cameras are limited to a maximum resolution of 704×480 pixels, called “D1” or “4CIF.” In comparison, full HD has a resolution of 1920×1080 pixels. IP cameras can produce resolutions beyond 1920×1080, but your computer monitor or display might only be capable of presenting full HD 1080p or HD 720p video. All cameras work similarly. Light enters the camera’s image sensor, which converts it to data. A lens reflects light into the image sensor and bends it to produce a wide or narrow field of view, depending on the aperture and curvature of the lens. Lenses called “fisheye lenses” allow the image sensor to see a full 360 degrees around the camera, or 180 degrees horizontally and 180 degrees vertically. 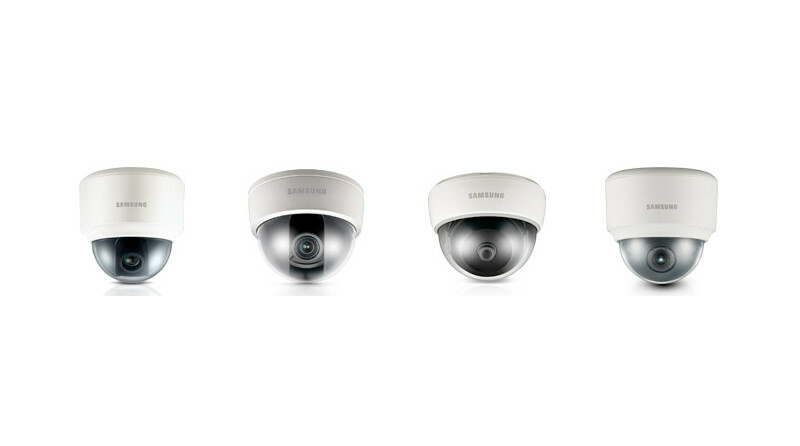 Only IP cameras can produce a resolution high enough to support a 360-degree field of view. 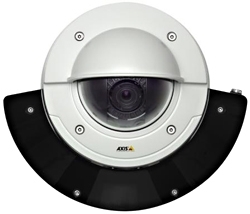 Dome cameras with a wide field of view are commonly deployed on ceilings or walls, allowing you to view the entire floor from a vaulted ceiling or around every corner outside of a door or entryway. If you look at the ceiling in a grocery store, you’ll likely see dome-shaped equipment hanging from the rafters. The shape of these IP cameras allows the lens and image sensor to view a large portion of the store. Zoom capabilities and high resolutions allow magnification of select areas without losing image quality. Analog cameras do not offer the same image quality or field of view as IP cameras. If you wanted to see a full 360 degrees, you would have to install at least two analog cameras. Since the picture resolution is inferior, digitally zooming into recorded video would only produce fuzzy or blurry images. So three or four analog cameras might be required to receive the same picture quality and field of view as a single IP camera. Some IP cameras will let you magnify a cropped area of the overall picture, while continuing to record the full view. Let’s say that you have installed an IP camera with a wide field of view, but you want to watch one critical area in particular—in other words, pull two streams at once from the camera. You can watch and record both the wide field of view and the cropped area simultaneously, as though two cameras were installed—referred to by a few manufacturers as “multi-streaming.” Multi-streaming capabilities vary by the camera, with some allowing upwards of eight concurrent video streams. Wait, that’s not all! 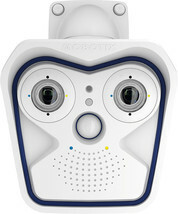 Mobotix is known for manufacturing IP cameras with two image sensors. One sensor can be set to provide a wide field of view, while the other is zoomed in; or one sensor can produce color daytime images, while the other only records at night. Not all of these features are unique to IP cameras, but they’re important to know as we conclude this blog about the basics of video surveillance. Pan, tilt and zoom, also known as PTZ, determines how you can turn the camera up or down and magnify images. Panning the camera means that you are rotating it horizontally, or left and right. Tilting the camera points it up or down, or vertically. Two forms of zoom are available to cameras: digital and optical/mechanical. Digital zoom magnifies the pixels in your image. Optical zoom changes the focal range of the lens, allowing you to zoom without sacrificing image quality. A varifocal lens will mechanically change the focal length of the camera, and will often include an auto focus function to ensure the image remains clear. Cameras with infrared LED lights mounted around the image sensor can produce black and white images out of completely dark environments. The LEDs emit invisible infrared light that bounces back to the image sensor. What you will see is a sharp black and white picture. 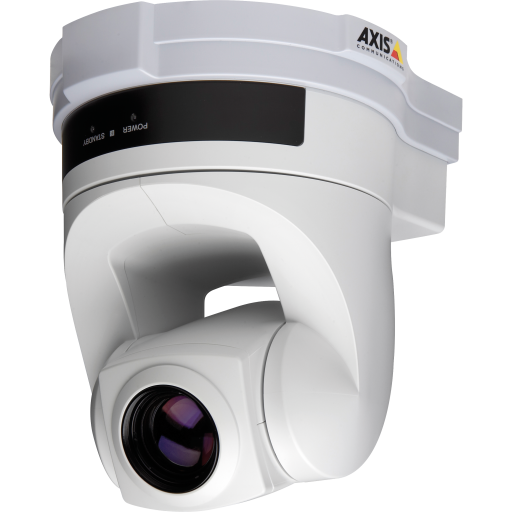 Axis manufactures infrared LED modules that can be mounted with compatible IP cameras. If the camera does not include its own infrared or IR LEDs, this module provides them. A camera with infrared can watch your premises for a full 24 hours. Turn off the lights as you’re leaving the office and rest assured. Most cameras with IR LEDs also include a mechanical cut filter, which blocks infrared light from entering the image sensor during the day, and is automatically removed at night. In part two, we’ll show you the benefits of installing an IP camera on a network. 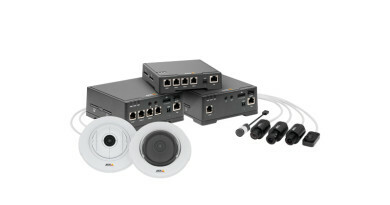 Including different types of setups, allowing remote access and video analytics. We’ll also look at advanced image sensors that do more than receive light from the environment. ← What is Polycom Acoustic Fence for the Group Series and VVX Series?